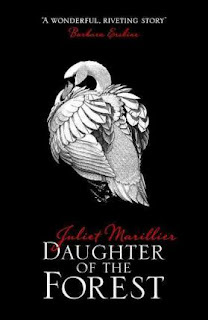 Today's pretties post comes to you courtesy of three foreign editions I've been lusting over. But seriously, why can these not be available in my country. Or, you know, my language? And, yes, I'm aware of what a first world problem I'm dealing with here. Not enough pretty editions at your beck and call, Ms. Thompson? I do know. But the book collector in me just started vibrating with longing when I ran across these lovely editions. You've all seen my battered and beloved copy of Daughter of the Forest. I feel like you feel me when I see this completely different and beautiful monochromatic UK version and know that it has to be mine. I always need a lender copy! Particularly as my original hardback is no longer capable of limping out the door, what with the loose pages and the limp tape some obliging borrower stuck in for good measure. 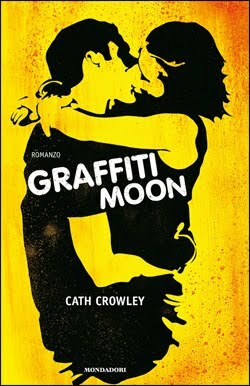 As for the Italian edition of Cath Crowley's Graffiti Moon, all I can say is this is the cover I'd been waiting for. I never much fell in love with either the Australian or the U.S. editions. They were fine. Serviceable. But they didn't quite catch up to the loveliness that is that special novel. This cover on the other hand? This one does Shadow and Poet and Lucy and Ed and Leo the justice they deserve. Sigh. 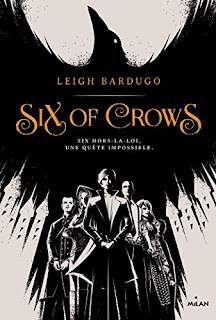 When it comes to Six of Crows, I have no compunction whatsoever at buying a lender copy (at present, I only own one copy of the book—behold, the restraint). And this French edition is just it. Such great renderings of all six of them! I mean, Kaz looks a bit like an undead serial killer. But Nina? Jesper? Matthias' handcuffs? Wylan's rose? So, so good.